Studio Wildcard hat das versprochene TEK-Update (Patch 254) für ARK: Survival Evolved mittlerweile auch für Playstation 4 und Xbox One veröffentlicht. Es ist das bisher größte Update für das Spiel überhaupt. Die Entwickler wollen damit den Endspurt zur Veröffentlichung im "Sommer 2017" einläuten. Mit dem (kostenlosen) TEK-Update kommen neue Endgame-Inhalte für das Crafting-System ins Spiel. Gemeint sind futuristische Rüstungen, Waffen und Ausrüstung wie z.B. Laserkanonen, die sich an die Dinos schnallen lassen. Als Beispiele werden TEK-Boots (Stiefel, die den Fallschaden absorbieren), TEK-Vision (identifiziert gegnerische Spieler und Kreaturen) inkl. Nachtsicht, TEK-Handschuhe (schwerer Nahkampfangriff), TEK-Gewehre etc. genannt. Darüber hinaus kommen u.a. vier weitere Kreaturen sowie die Möglichkeit ins Spiel, dass sich die Schützlinge passend zum Valentinstag schneller vermehren können. "Seattle, WA - February 16, 2017 - The super scientists at Studio Wildcard today released a huge sci-fi-themed update for ARK: Survival Evolved on console, with the release of its TEK Tier content. 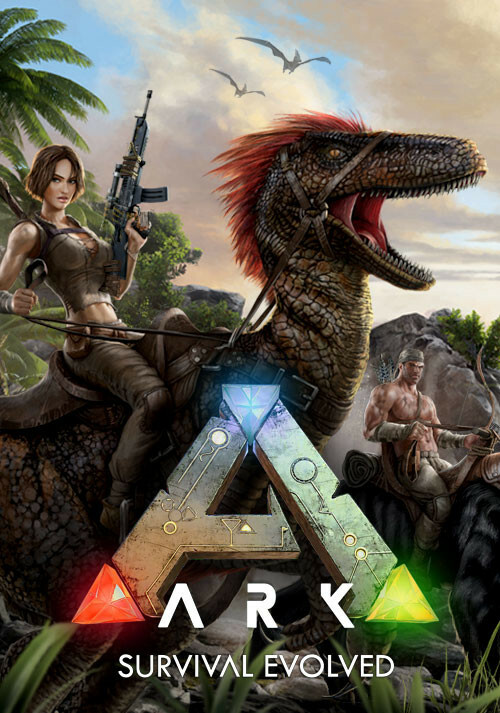 Now available for free download on Xbox One and PlayStation®4, this update adds new weapons, armors, gear, and most importantly - dinosaur mounted laser cannons - to ARK's already significant arsenal. Players can also tame four new creatures and take part in the Valentine’s Day Event, a limited-time opportunity to increase creature mating speed and find a box of chocolates that can be used to unlock new event-themed hairstyles and an emote! Along with the TEK Tier release comes the fantastic news that ARK: Survival Evolved has sold over one million copies on PlayStation 4 since its December 6, 2016 launch, and has been the #1 selling game on PlayStation Network in both December 2016 and January 2017. To celebrate, the ARK: Survival Evolved “Survivor’s Pack” is now on sale worldwide on the PlayStation 4 platform at 20% discount (MSRP $54.99/¤49.99). This bundle gives PS4 players an up-to-date version of ARK: Survival Evolved that includes the previously released content, plus Scorched Earth -- ARK’s first Expansion Pack. 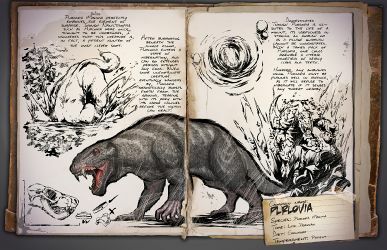 ARK: Survival Evolved includes exclusive content for PlayStation 4 players including a Bionic Giganotosaurus skin plus an entire Manticore armor set for all male and female characters. PlayStation 4 Pro owners will also gain substantial performance improvements including a higher framerate, smoother animations and stunning visual effects. Players wanting TEK Tier loot will need to gather the newly introduced Element resource, which is granted after successfully completing Boss Arenas. Each Boss now has three difficulty levels (easy, medium, hard) and after defeating the respective Boss are awarded with unique TEK Knowledge engrams, element and other general Boss Rewards. Collect the Element, then use the TEK Replicator to craft all TEK items. And if the TEK Tier isn't enough new content for players - how about a new batch of creatures? 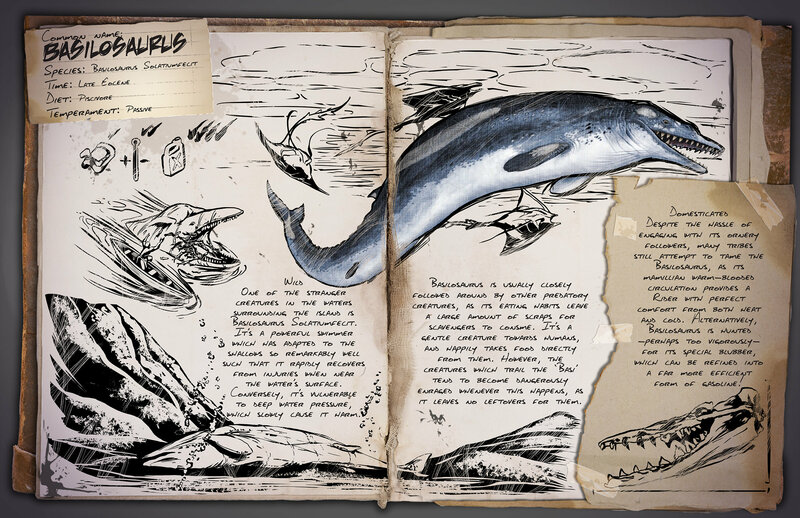 The new update includes the Ovis Aries, Baryonyx Aquafulgur, Basilosaurus Solatiumfecit, and the Purlovia Maxima, bringing ARK's creature count up to a whopping 96! TEK Helmet - Contains a built-in oxygen tank and three different type of vision: Sonar, which identifies tribes, allies, enemies and creatures, Night (see in the dark) and a combined Sonar/Night mode. TEK Boots - These boots let players scale vertical surfaces with ease, along with negating any falling damage. TEK Pants - Enable a super run that lets players speed through solid objects. Combined with the TEK Shirt, the pants allow for faster flight and a cool superheroic stance. TEK Shirt - Jet Pack! Ever wanted to be Iron Man? Don this item then rocket upwards into space or hover above your enemies to better view the devastation you have wrought! TEK Gauntlets - Powerful super punch - dash-smash your foes across the map with this powered up fisticuffs feature. TEK Rifle - Powered by Element, the rifle features a scope that can sync up with the TEK Helmet's vision modes for double the death-dealing. TEK Replicator - Needed for crafting items from the TEK tier. TEK Transmitter - This portable terminal functions similarly to an Obelisk, allowing players to transfer characters, creatures and items across the ARK. Four New Creatures are also added in ARK v254! Purlovia Maxima - Resembling a giant weasel, the Purlovia is a nasty sneak, burrowing underground so it can ambush unaware passers-by. Basilosaurus Solatiumfecit - One of the stranger water creatures is Basilosaurus, a powerful swimmer that is so adapted to life in the shallows, it has problems surviving in deep water. This hasn't kept tribes from taming these gentle creatures, as their warm-blooded nature means riders can be kept comfortable in both hot and cold climes. Its blubber is also valuable, as it can be processed into a highly efficient form of gasoline. Baryonyx Aquafulgur - Baryonyx has the distinction of being on the small end of the large predator tier, but that doesn't make it any less dangerous. It's an extremely fast swimmer, and can threaten most creatures on land and sea, which makes it an efficient killer. Taming a Baryonyx makes it even more dangerous! 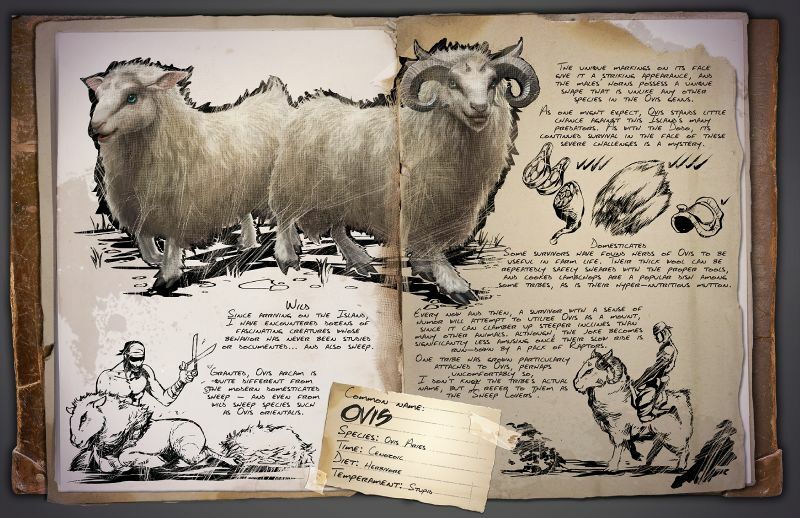 Ovis Aries - The Ovis has arrived in-game! This passive, stupid-tempered creature might be weak, but it's definitely useful, with wool that can be repeatedly sheared and re-grown, and the ability to produce tasty, wonderful, lamb chops. Its also makes for a fun, albeit slow, mount! - New Weapon - Lance: Saddle up and prepare for medieval mounted mayhem with the arrival of this, the Jurassic Jouster's weapon of choice. - New Mechanic: Hairstyles, Facial Hair, Hair Colouring and styling with real-time growing. Customize your avatars with awesome new beards and then watch them grow! Cut, dye and trim your hair as you go all out with your character design. - A ton of improvements for official mod The Center, and general game fixes! 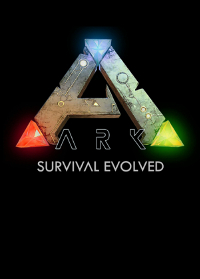 ARK: Survival Evolved is in development for Xbox One via the ID@Xbox program, Steam Early Access and PlayStation®4. The game is currently playable in on all three platforms, which includes Oculus Rift VR support and an integration of Steam community features such as Steam Economy and Steam Workshop for custom maps and mods. Players can host private/LAN servers and have access to a custom-built version of the Unreal Engine 4 Editor for creating mods. 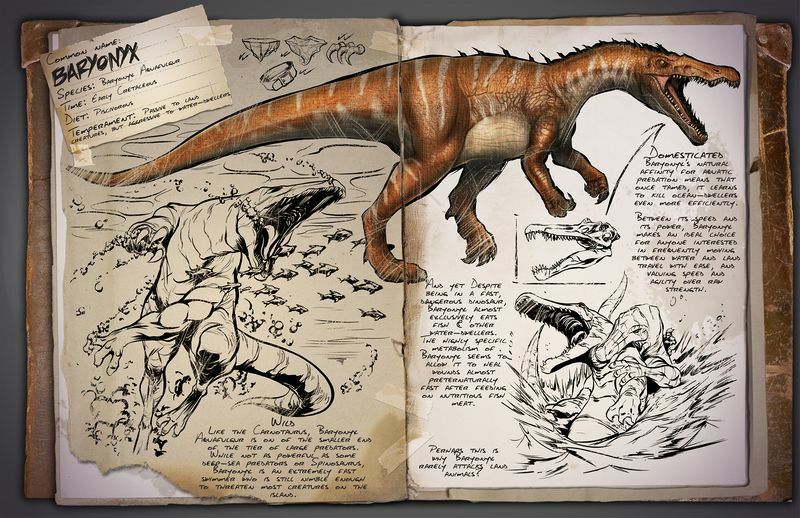 The world of ARK is designed to be modder-friendly and ever-expanding!" Balmung hat geschrieben: Sehe ich eben nicht so, man weiß was man kauft, wenn da Alpha/Beta drauf steht: ein unfertiges Spiel mit Bugs und schlechter Optimierung. Zu viele sind aber so ungeduldig, dass der Alpha/Beta Status einfach komplett ignoriert wird. Ich kann es zwar völlig nachvollziehen, wenn der Zustand eines solchen unfertiges Spieles öfters mal mich als Spieler nervt, aber ich hab da kein Problem damit dann primär auf mich selbst zu zeigen, weil ich es ja in dem Zustand kaufen musste anstatt auf den Release zu warten. Und das ist halt der Punkt, wer zeigt schon freiwillig auf sich selbst, wenn es doch viel einfacher ist auf Andere zu zeigen, die wenigsten. Gerade aber weil ich zu den wenigen gehöre nehme ich es mir auch heraus Andere dafür zu kritisieren. Sehe ich eben nicht so, man weiß was man kauft, wenn da Alpha/Beta drauf steht: ein unfertiges Spiel mit Bugs und schlechter Optimierung. Zu viele sind aber so ungeduldig, dass der Alpha/Beta Status einfach komplett ignoriert wird. Xuscha hat geschrieben: Ist ja schön und gut, dass Zusatzinhalte gebracht werden aber wie siehts denn endlich mal mit dem Performance Patch aus. Immerhin kommt ja langsam der Release und gestern Abend bin ich wieder mal durch den Dschungel gerannt und wollte nen raptor killen, dabei wurde ich wieder 50m zurückgebuggt und seitlich killte mich dann der Raptor, welchen ich vorher attackierte. WTF soll das bitte?! Darum bleibt es bei mir erst mal liegen, bis zum Release haben sie ja noch Zeit die Performance zu verbessern, danach gibt es dann auch je nach Zustand von mir ordentlich oben drauf, aber bis dahin haben für mich Entwickler bei einem Spiel in der Alpha/Beta Narrenfreiheit. Ich beurteile ja auch kein unfertiges Bild. Doch man kann es beurteilen. Wenn etwas schon auf den Markt ist, die Entwickler das Spiel zum Vollpreistitel anbieten trotz dessen das es ne Alpha ist oder nicht dann müssen die damit auskommen das man sie dementsprechend beurteilt. Ich finde es zwar schön und gut das sie jede Menge neue zusätzlichen Inhalte anbieten, da freue ich mich schon drauf, aber wie sieht es denn mit der Performance aus? Ich glaube irgendwo nicht das es bis zu Re-release alles ausgemerzt wird. Ich hoffe zumindest auf das meiste. Wieso kann man keinen eigenen Server erstellen wo man privat mit Freunden zocken kann? Nein ich meine nicht splitscreen. Minecraft auf Konsole hat es vorgemacht. Wieso muss ich im Radius von 100 Metern sein nur um mit Freunden privat zu zocken? Die überfüllten Server mit Amis stinkt mir gewaltig. Mein Fazit: Das Spiel ist zwar gut und hat Potential aber ist noch meilenweit davor entfernt ein Vollständiges Spiel zu sein.